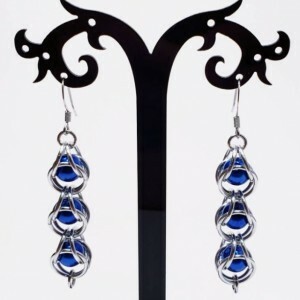 These earrings are so beautiful they would be great for any occasion. They would also make a great gift. 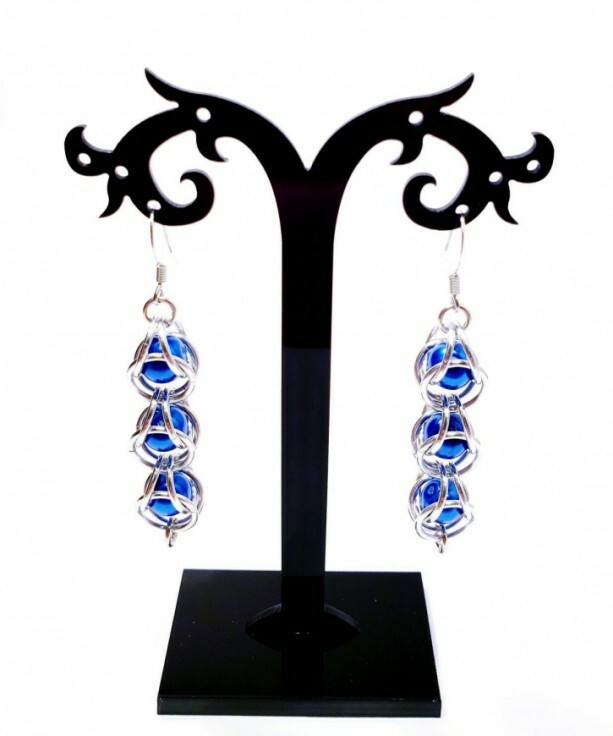 I crafted these gorgeous blue earrings one jump ring at a time to make this beautiful piece for someone to enjoy. 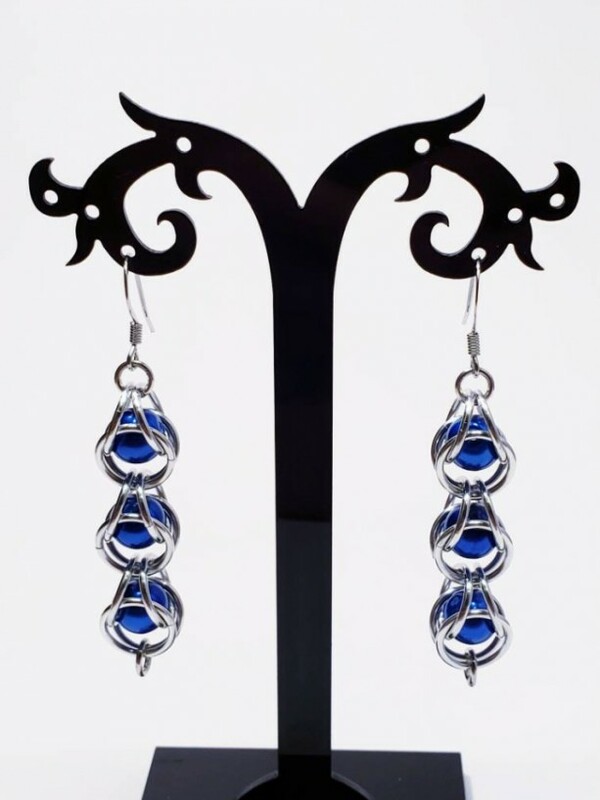 These captured bead earrings are made of lightweight aluminum. Aluminum is also hypoallergenic and will not tarnish. 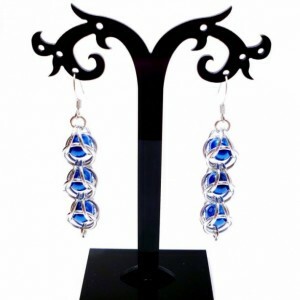 These earrings would make a great accent piece to any wardrobe. 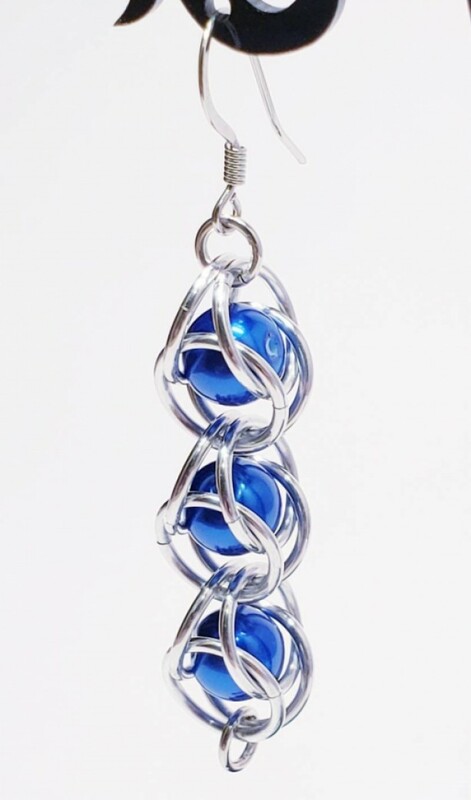 COLOR: Blue, Silver MATERIAL: This item is made using bright aluminum jump rings, blue 8mm beads, stainless steel ear wire. 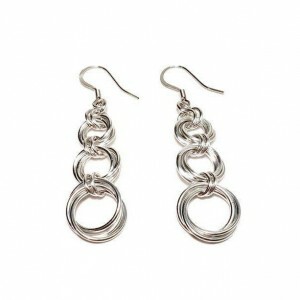 SIZE: Measures approximately 1/2" width. 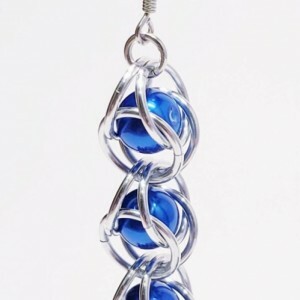 Up Keep: Keep your aluminum jewelry away from corrosive chemicals like chlorine, bleach, acids, and drain cleaning solutions to prevent your jewelry from oxidizing and losing luster. How to clean: To clean wash with a gentle dish soap, like Dawn (not a harsh detergent), and water, then pat dry with a clean cloth. Also, it is recommended you wipe down the jewelry after wearing it with a clean cloth and store in a plastic bag when not in use. Note: Due to the difference between different monitors, the picture may not reflect the actual color of the item. We guarantee the style is the same as shown in the pictures.